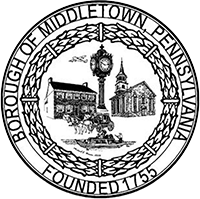 Reminder: The 2019 Middletown Community Art Show will take place this coming Saturday, March 30th, from 1-4pm at the MCSO building (https://www.facebook.com/events/592670874532093). If you are submitting artwork for the event, or loaning your Hometown Hero banner(s) for display at the event, please deliver them to Borough Hall at the rear of 60 W Emaus Street, on Thursday, March 28th, between 6 and 8pm. All artwork and banners will be returned to their owners after the event. Please contact Mike Woodworth with any questions or for more information.